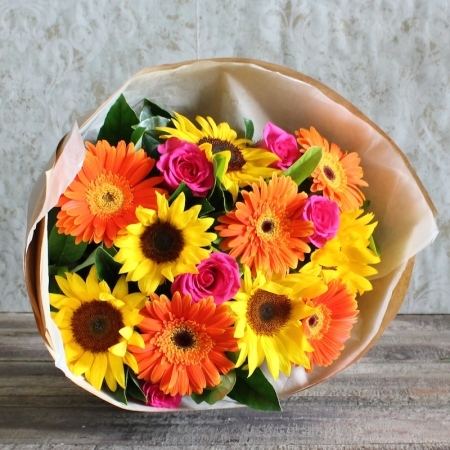 This Beaming Beauty bouquet is the perfect choice to brighten up someones day! How can they keep the smile off their dial when they receive this virbant mix of Sunflowers,Gerberas and Roses. If it`s a Birthday gift that you are looking for, Beaming Beauty is an excellent choice, why not add a Happy Birthday balloon or a beautiful Ecoya Candle to make this gift extra special.Order online now or phone our friendly staff at Florist With Flowers on 02 9871 1666 to place your order.